Whenever I look over my pictures from San Fernando and Sibaltan, I’m always struck by how sedate they seem. After everything going on in Puerto Princesa and El Nido, it’s fascinating to encounter this other side of the island: slow, sun-baked, langourous. 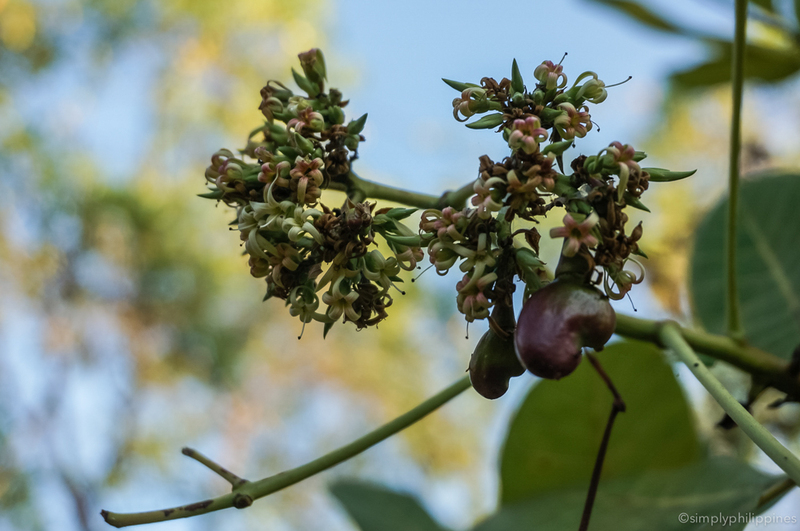 There are whole hours with no sounds but birdcall and leaves rustling, and whole islands empty except for wild pigs and sandflies. This is still Palawan, but not Palawan as you know or expect it. I’ve been north of El Nido twice now. Both times I wished the beaches here were better for swimming. I’m not sure how it happens, maybe it’s a seasonal thing, but the coast seems to just flatten out. You can walk and walk and only be in water up to your shins. Is this why these places aren’t overrun by tourists? Maybe. In San Fernando, I stayed on a hill above the town of Dipnay at a cute three-hut setup called Santeria El Nido. 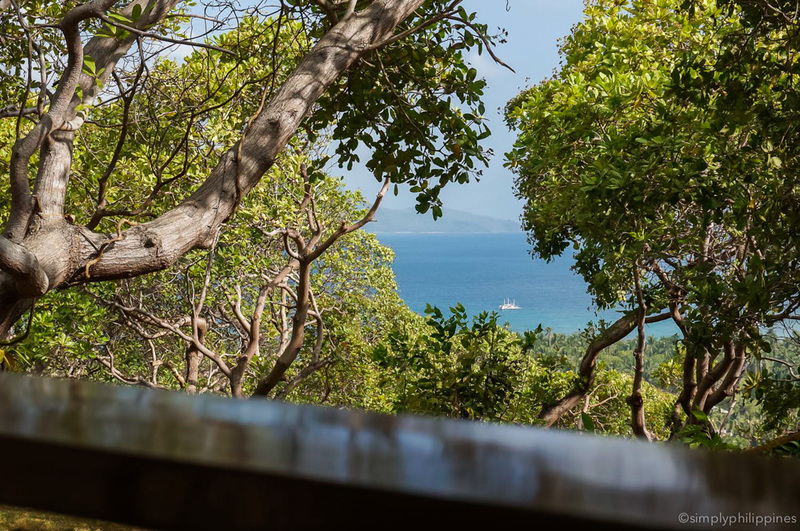 Owners Dana and Luke have claimed this serene spot amid the cashews trees, and even if you can’t stay it’s worth a stop for a relaxing lunch and different perspective on Palawan. At Santeria, I enjoyed beautiful, freshly prepared meals, elevated views of the hills and landscape, and solo walks into the tiny town below. 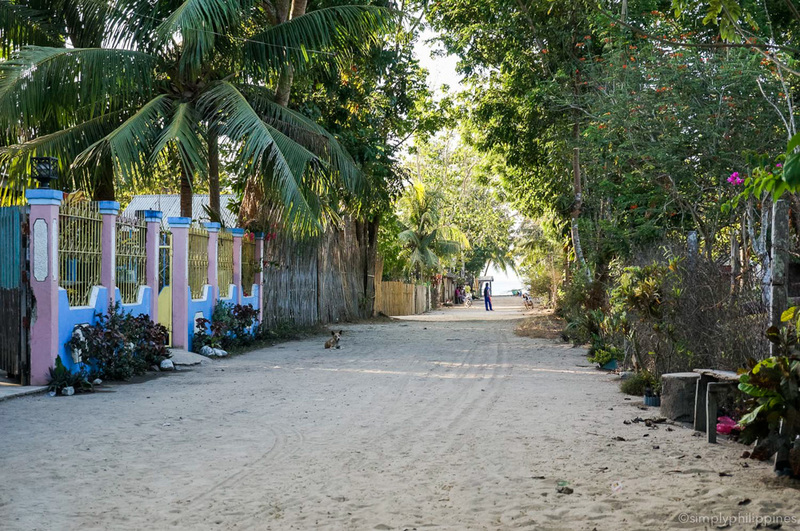 San Fernando is a small-scale model of how most Philippine beach towns begin. 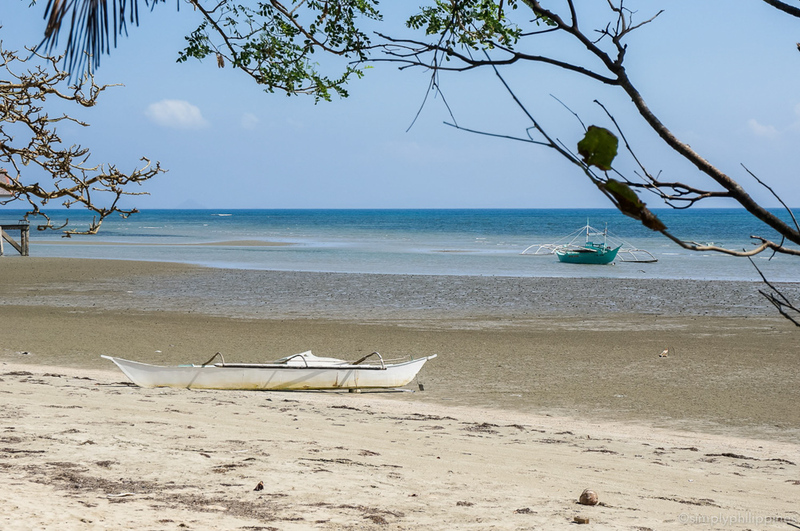 There’s a grid of sand roads (check it out on the map) facing a narrow, curving beach, a port where ferries come and go to Linapacan, and beyond that, rice paddies and cashew trees. The easiest way to explore San Fernando and Sibaltan is on your own motorbike. You can rent these by the day in El Nido town, for anywhere from 350 pesos/day to 1000 pesos/day, depending on the bike (check in with my good friends at Discover El Nido for daily rates.) It’s about an hour from El Nido to San Fernando, and — prepare your bum — much of the ride is on unpaved roads. If you’re staying with Qi Palawan or Santeria, they can arrange private transfers for you by car. Just email them for prices and to send your schedule. Otherwise, take one of the public transport options (below) headed for Sibaltan, and ask the driver to let you off at the right place. 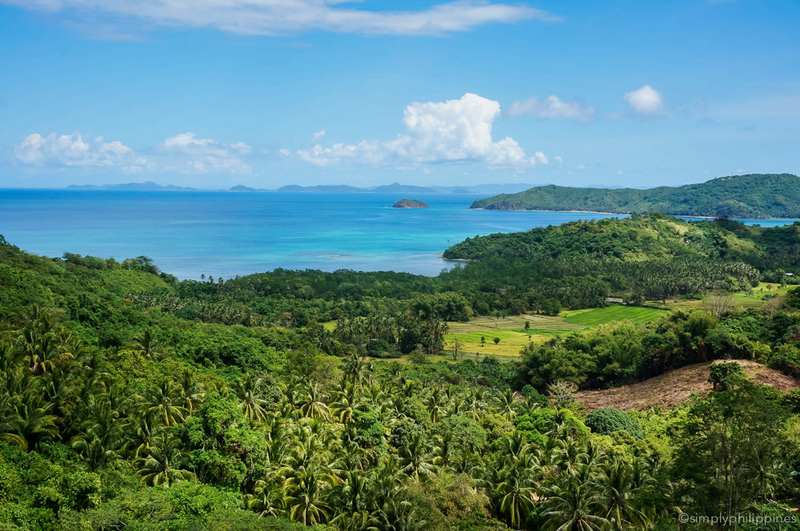 Sibaltan, on the eastern side of Palawan, is about as sleepy a town as you’ll find anywhere in the Philippines. Your biggest concern will be falling coconuts. There are the same sand roads here, one main grocery store, a church and community hall, a basketball court (naturally), a fantastic Cuyonon museum, and a pier stretching out over the flat water. You probably won’t do any swimming here, except on an island-hopping tour, but there is something special about Sibaltan. Perhaps its remoteness. It really does feel like the edge of the world. Speaking of island-hopping tours, don’t expect the kind you had in El Nido. The islands in this area are remote and often uninhabited, except for sandflies. There are some great spots for snorkeling though, and you can definitely find a pretty beach to relax on; but it’s a very different experience from the dramatic karsts and cool lagoons in El Nido. Kite-surfing however, is starting to take off in Sibaltan, and kayaking is always an option. After dark Dennis and his family build roaring bonfires on the beach and barbeque fresh seafood, making the most of Sibaltan’s wondrous, starry nights. Getting to Sibaltan can be a bit tricky, but it is getting better. You can always organize a private transfer for about 1500 pesos total, one way. You can also ride a van or bus from El Nido to Sibaltan with the Qatar transport company. Tickets cost up to 200 pesos and the van to Sibaltan leaves El Nido between 4pm and 6pm — not on a fixed time. Your accommodation can help you book a seat. 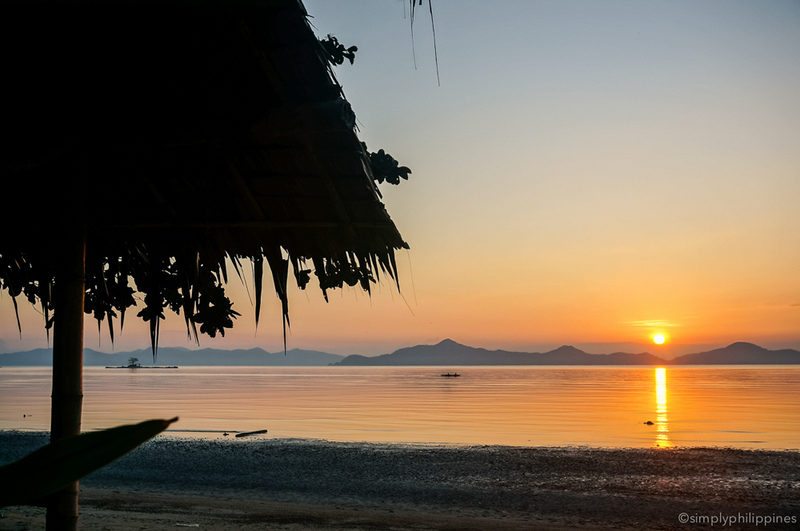 Check out a full list of campsites, guesthouses and more in Sibaltan at this link. More about getting to Ursula Beach Club on this page.